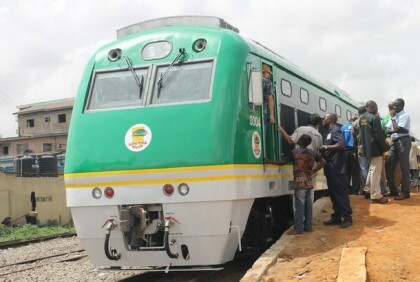 The Acting Secretary, Transportation Secretariat, Federal Capital Territory Administration (FCTA), Alhaji AbdulHamid Suleiman, said on Thursday that Abuja Light Rail was 93 per cent completed as at April. Suleiman made this known in Abuja at media interaction being part of the activities to mark two years in office of the present administration. “Completion of comprehensive maintenance and office complex buildings at the rolling Stock Depot, Idu, which is four storey building with a total floor area of 12, 503 square metres. “Completion of permanent way and construction of double track 45.245 km. “Construction work in 10 out of the 12 number railway stations have been completed, while structural works have been completed in the remaining two stations, ’’ he said. According to him, installations of signalling and communication equipment at the 10 completed railway stations and the Idu Rolling Depot have been completed. Suleiman said, “Processed Interim Payment Certificates (IPC) Numbers 21 to 26 in the total of N27, 657, 420, 903. 57 ($ 102, 667, 533,.18) FCTA as April 2017 has paid $256, 698, 353.72 and EXIM Bank of China $361, 792, 834. “The balance to complete the project includes FCTA $66, 842, 192.15 and EXIM Bank of China $138, 207, 165.53,’’ he said. The acting secretary said Oct. is the projected date of completion for Lots 1A and 3, while test running of the project will commence from Nov. He said the Award of Addendum contract for phase 2 of Abuja Rail Mass Transit Project, Lot 1B (26.775km) and the remaining part of Lot 1A (5.76km) is ongoing. “This also include Exclusive Bus Lane (Transit Way) along the Lot 1B and supply of Rolling Stocks, including operation and management services at the $1, 792, 994, 595.12 with a completion period of 54 months. “The feasibility study and conceptual design for the remaining Lots 4, 5 and 6 is under procurement. “These Lots are available for concession under Design, Build and Operate basis, while Lot 2 is still available upon approval by the FCT Administration for release,’’ he added. Suleiman said the project was awarded on May 25, 2007 to China Civil Engineering Construction Corporation for the final construction of Lots 1 and 3. He said the cost of the project was $841.64 million with the completion period of 48 months. 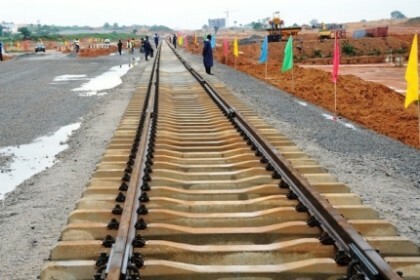 “This consisted of approximately 60.67 kilometres of standard gauge double railway track and associated permanent way within FCT. “In Aug. 2012, due to deficiencies noticed in the estimations, the scope of the contract was varied to $823, 540 million for the final design and construction of Lots A1 and 3.